It's loquat harvesting season here in Central Texas! Though they are not native, these bushy evergreen trees have naturalized quite well and are easy to find growing in our wildlands. Native to China, they are sometimes called the Chinese plum. A friend commented that the shores of Lady Bird Lake in Austin are loaded right now with ripe loquats and the best way to harvest them is by boat (or SUP board, as she does.) Eat the fruit raw or cooked; the seeds can be planted to produce additional trees. Many people peel the fruit before eating, but the skin is edible so bite right in and taste the subtle hints of citrus, peach and melon. One of Chris' co-workers delivered several pounds of loquats to us so I made loquat pie! 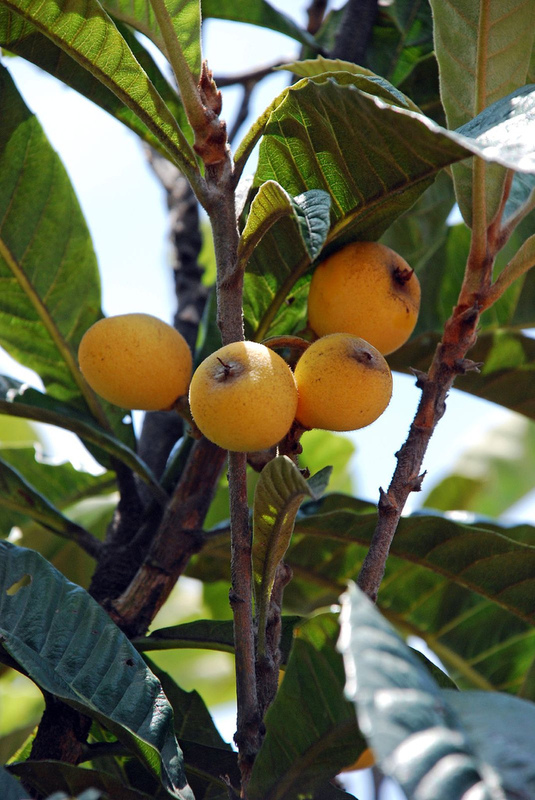 Check out Addie Broyle's latest article in the Austin360 blog for some more loquat recipes.